Copyright, 1877, by Will L. Thompson. Words and Music by Will L. Thompson. As friendless and sadly I roam. No one to pity me. no one to cheer me. Through the rain and the snow I must tramp to And fro. For I've no place in shelter to stay.-Chorus. How I wish for a place by the fireside. 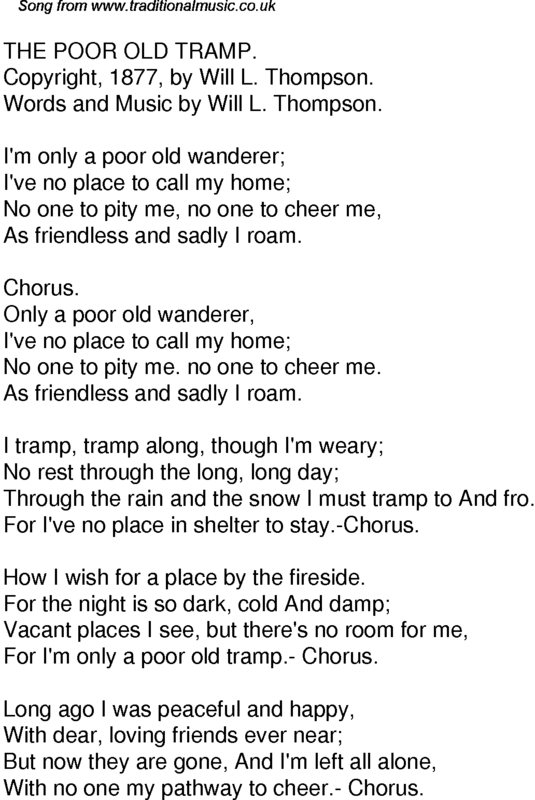 For I'm only a poor old tramp.- Chorus. With no one my pathway to cheer.- Chorus.